My rental property portfolio started the year off with a bang! January was a great month for cash flow. The time commitment was modest and the eviction Saga at rental property #4 was nearing its end. As you can see, January was a profitable month. This month was more lucrative than last month (December 2018). In fact, this may have been my best month ever. Though, in my ripe old age of 28, my memory isn’t as great as it used to be. I made over $4,200 after my expenses and mortgages were paid. My rental property portfolio produced income while struggling through an eviction where a tenant is not paying rent (more on this later). The eviction saga is almost over. Rental property #1 and rental property #2 enjoyed a perfect month. Rental property #3 and Rental property #4 had a few minor items to report. Being a landlord is not all sunshine and cash flow. But! I still love being a landlord. Below you will find a detailed account of what happened at each property this month. In addition to the information below, DC experienced snow a handful of times which require me to salt and shovel a couple times. Not fun but I sleep better at night without the potential liability. Things were absolutely boring and easy with rental property #1. There were no repair or maintenance items this month. The tenants paid their rent in full and on time. I collected the $2,325 on my way home from work. This costs me about 15 minutes of my time. My former roommate and longest tenured tenant lives at rental property #1. He informed me he is relocating for a new job. My tenant will be leaving the DC area in March. I will need to find a replacement in the coming weeks. This may be a bit of a scramble, especially since its winter. It’s never good to a vacancy in winter but I am hoping to find someone quickly. Given he is also a friend, I will be more accommodating than usually. Usually, I take a tough but fair approach to managing tenants. In summary, rental property #1 – earned $356.76* earned and I spent about 45 minutes managing the property. My mortgage debt dropped by $720.76 from my monthly mortgage payments. When considering the principal reduction, I came out ahead by $1,077.52. The Fixer-Upper Rental property #2 had a perfect month. The tenants paid their rent of $4,050 in full and on time. Rent collection required me walking downstairs to get my morning cup of coffee. Does life get any easier than that? Also, three of my four roommates/tenants renewed their leases. Two of the tenants renewed for another 12-months. One of the tenant’s rent is staying the same. I took a stab at increasing his rent but he balked. He isn’t willing or able to pay more and I don’t want to find a replacement for him. You may call this laziness but sometimes small rent increases are not worth the hassle of finding a new tenant. The other guy staying for another year rent increased by $50/month. The third tenant’s rent will increase by $100/month. The lease is converting to month-to-month which is her right under DC Landlord/Tenant laws. Her plans include buying a place in the near future and doesn’t want to be stuck with a 12-month lease. I’m happy she is pursuing homeownership and am encouraging her to use an FHA Loan. The month-to-month lease is not my preference. I even offered more appealing economics for a year commitment but she prefers the flexibility. I will enjoy the $100/month increase and she still is required to provide 60 days notice before moving out. I’ve achieved $150/month rent increases. This means rental property #2 will earn an additional $1,800/year. In summary, rental property #2 – earned $1,414.89**. I spent about 4 hours managing rental property #2 this month. My mortgage debt decreased by $755.57. When factoring paying down my debt, rental property #2 made me $2,170.46. Not bad for about a couple of hours of work. Oh, and I got a free place to live. From a maintenance standpoint, things were great at rental property #3. Other than snow removal, there were no matters that required my time. From a general management statement, things were busier. I received notice the tenant in unit #1 subsidy will expire at the end of April. As such, I sent her a letter informing her of her options. She will be required to let me know by the end of February if she intends to stay or leave. Unfortunately, I also received notice the tenant in unit #2 is also losing her subsidy. This notice came with a shorter timeframe; she will be moving out at the end of February. I will almost certainly incur a vacancy in March. This misfortune will allow me to finish the utility conversion. The utility conversion will probably cost me $2,700-$3,000. A lofty price tag but worth it. You see, I will probably save this much annually by no longer being responsible for the gas bill. Stay tuned. Rental Property #3 may have a bumpy month or two. In summary, rental property #3 – made $1,246.81 and I spent about 2 hours of my time managing this property. Rental Property #3’s mortgage debt also decreased by $424.72. When factoring in paying down my debt I made $1,670.90. Well, the eviction saga continued in January. I received a call from the US Marshal service in the middle of the month. The eviction is scheduled for early February. Look forward to wrapping this process up. In summary, rental property #4 – made $1,254.27 and I spent about 2 hours of my time managing this property. The property will be more profitable once it’s fully leased. Rental Property #4’s mortgage debt also decreased$446.23. When factoring in paying down my debt I made $1,700.50. In summary, I spent about 8 hours and 45 minutes of my time maintaining my rental property portfolio. In January, my rental properties made $4,272.10. I made $488.24/hour being a landlord. Being a landlord is provides one of the best dollars per hour sources of income. My mortgage debt also decreased by $2,347.28 in January. Gotta love having tenants pay off over $2k of my debt every month. Factoring in repayment of debt and cash flow, my rental properties made$6,619.38. So, I made $756.50/hour. 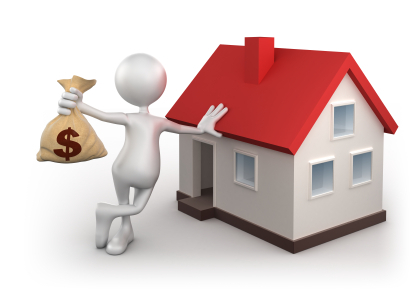 Being a landlord and owning a rental property portfolio is a great way to build wealth. What is your excuse for not owning rental property? Great report! Really curious about the make-up of rental property #2. I take it you are living in it, but is is a single family home and you rent by the room? How do you handle rent rates that are different per roommate? Sounds like you had a great month income wise. Looking forward to hearing about the eviction. I’ve been down that road before! Your real estate hustle is motivating! I’m torn on whether I want to get into real estate. I think it is a great semi-passive income stream, but I think getting my base investments squared away first, should be the top priority. I kind of wonder if paying off our mortgage earlier, and possibly renting it out, might be a great way in generating rental income. This definitely has me thinking. Thanks for sharing.